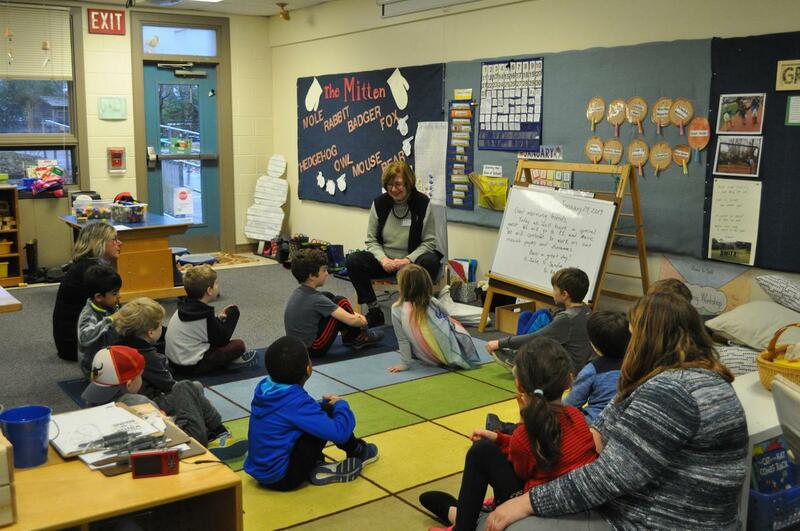 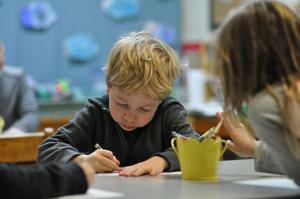 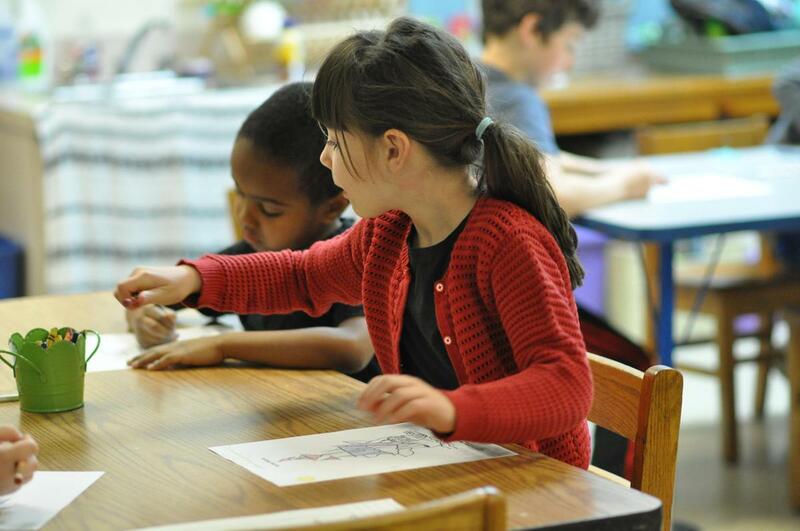 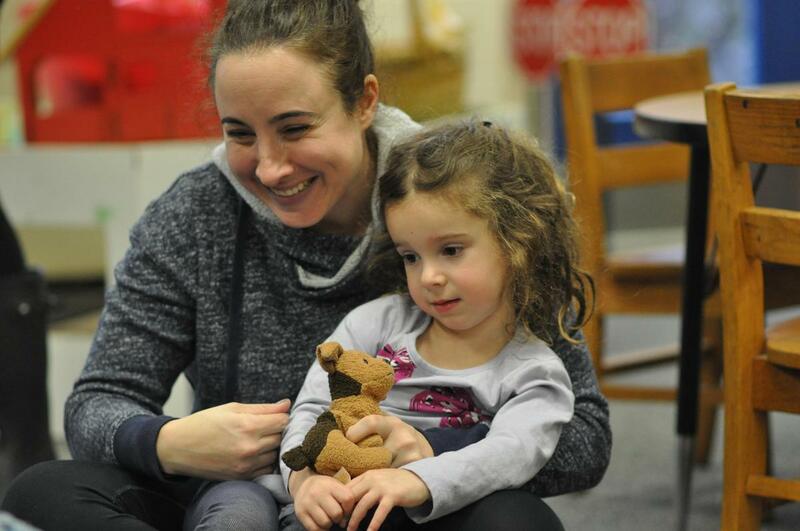 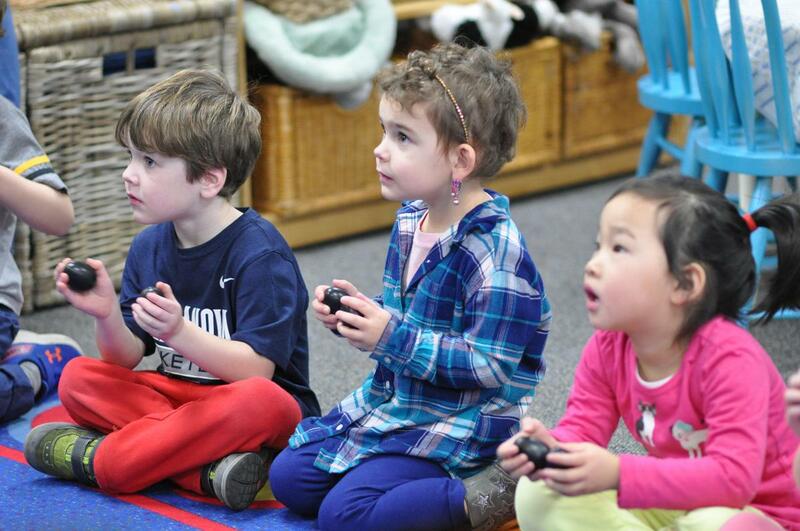 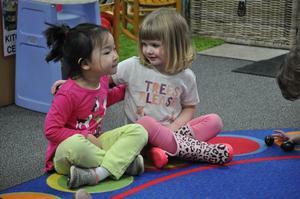 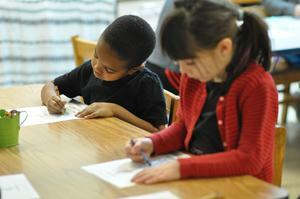 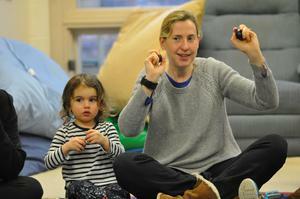 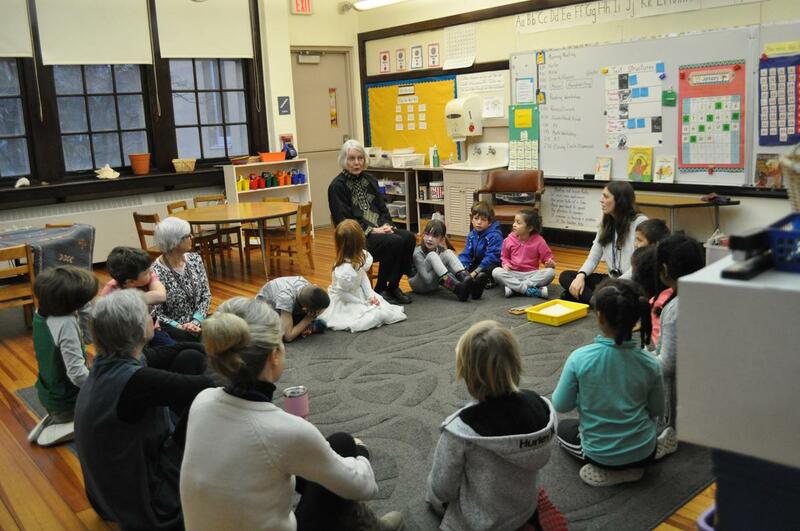 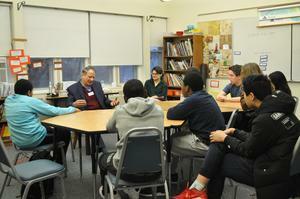 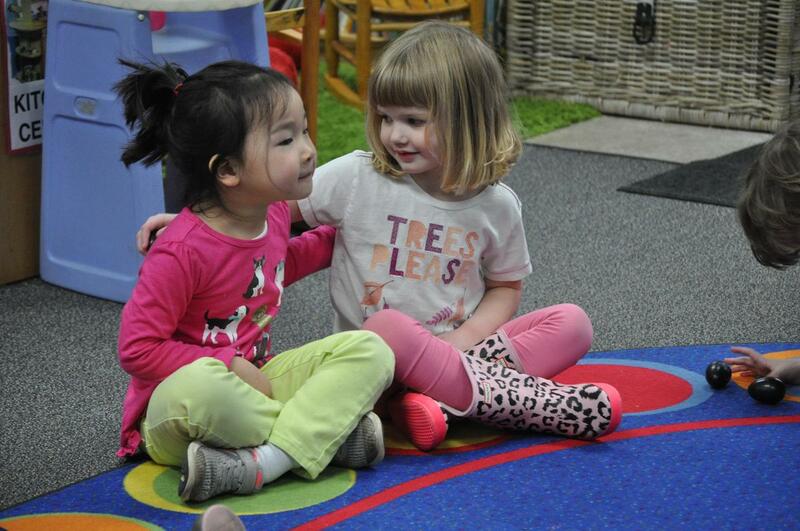 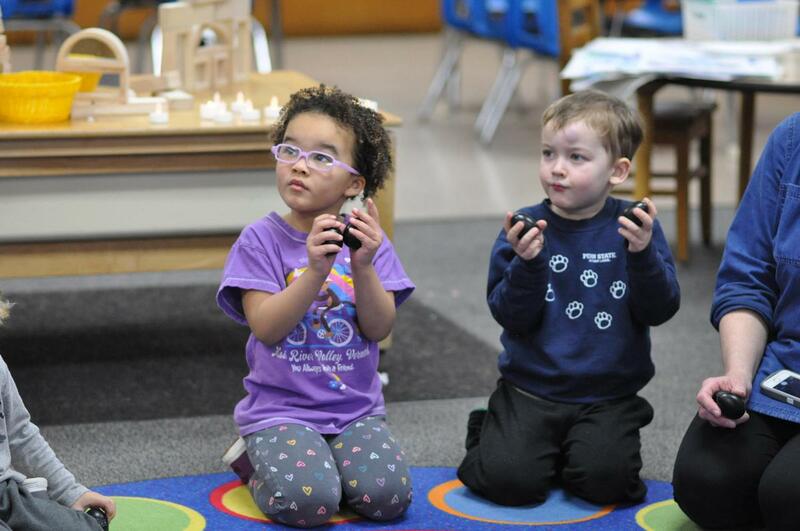 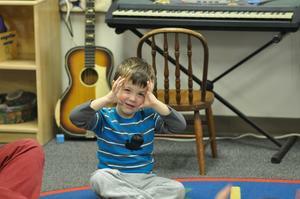 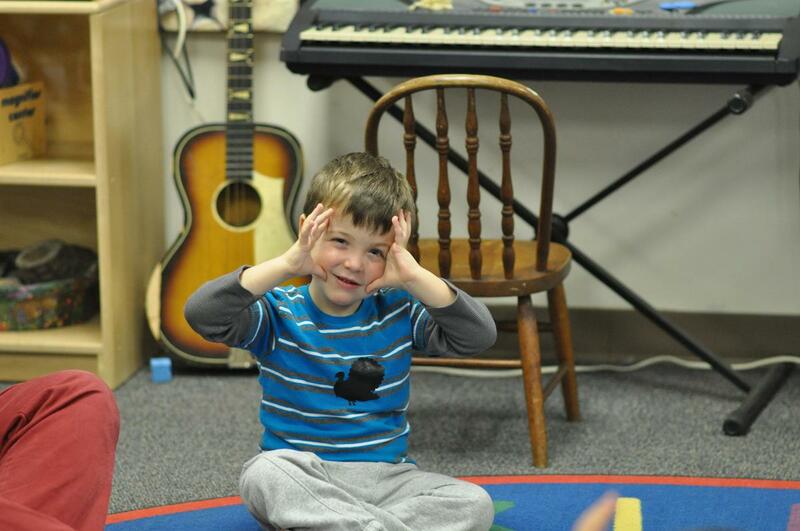 Members of Haverford Monthly Meeting were warmly welcomed into the classrooms for Morning with a Friend. 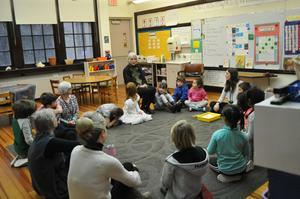 Each shared a bit about their lives and what it means to them to be Quaker. 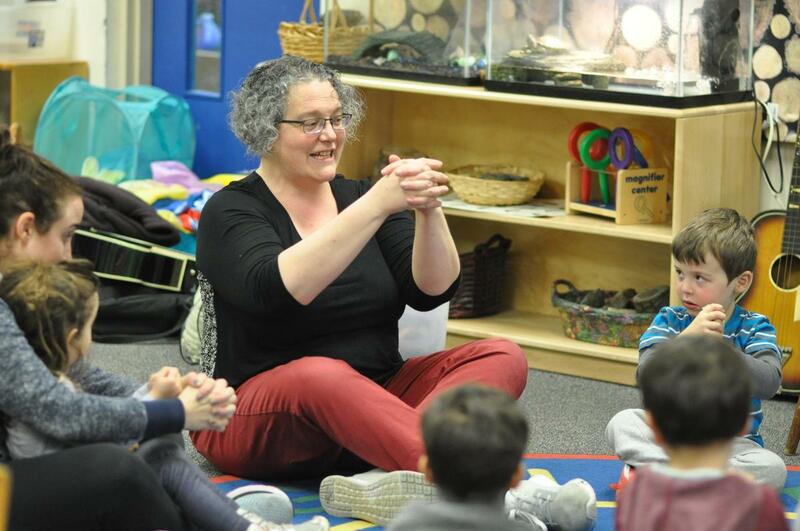 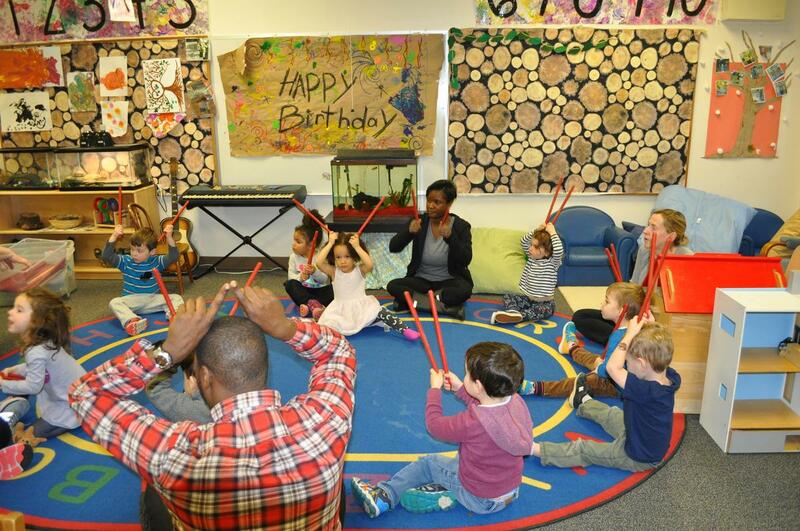 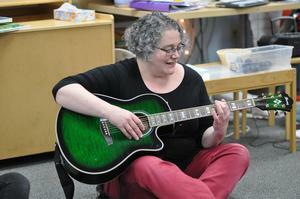 In Heritage House, BrendaRose Simkin joined Forest’s Edge and preschool students for a singalong using a variety of musical instruments. 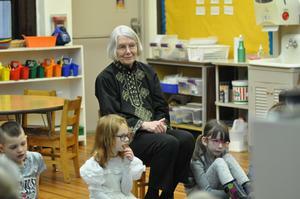 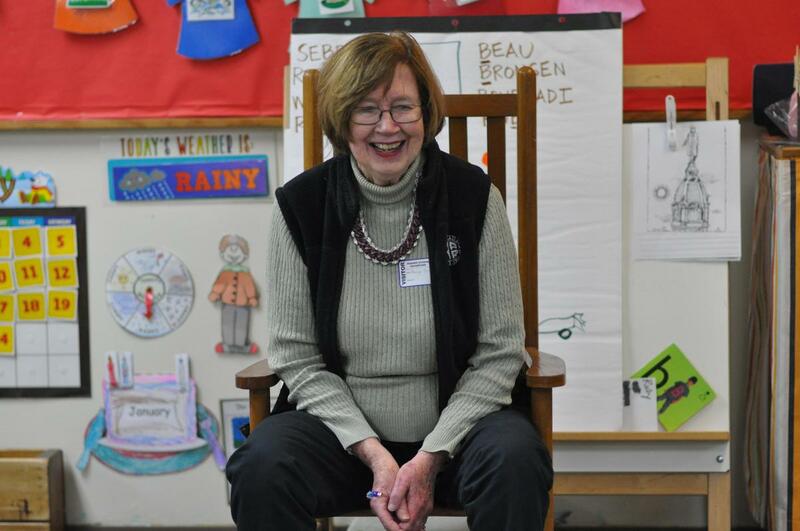 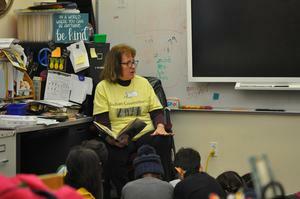 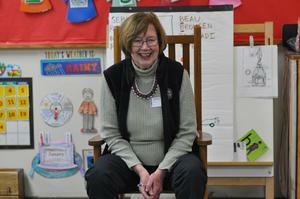 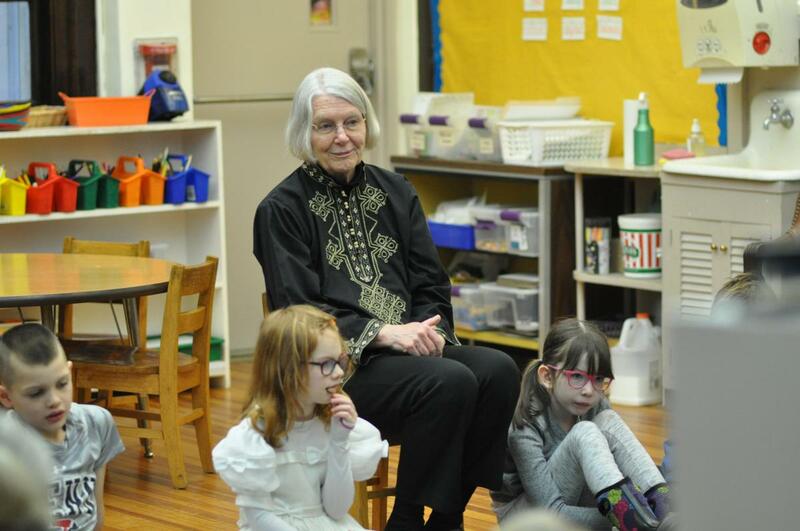 Marge Dawson came to visit with the prekindergarten and kindergarten classes sharing her knowledge about William Penn. 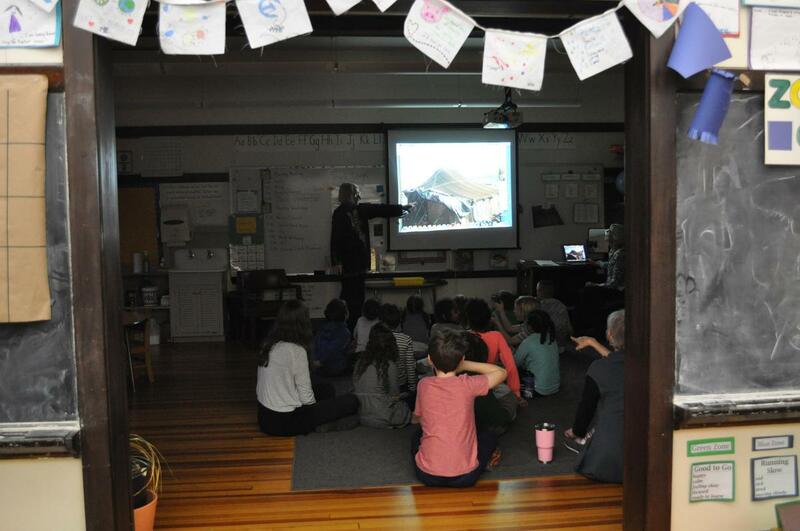 At the Schoolhouse, grades 1/2 had a visit from Susan Davis who talked about her experiences in Morocco while serving in the Peace Corps. 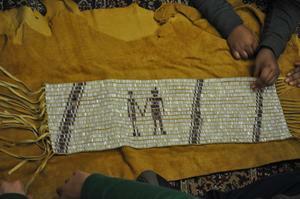 Guest Kate deRiel, who is on the Indian Committee of Quakers had a copy of William Penn’s Wampum Belt made by Native Americans that she showed to grades 3/4. 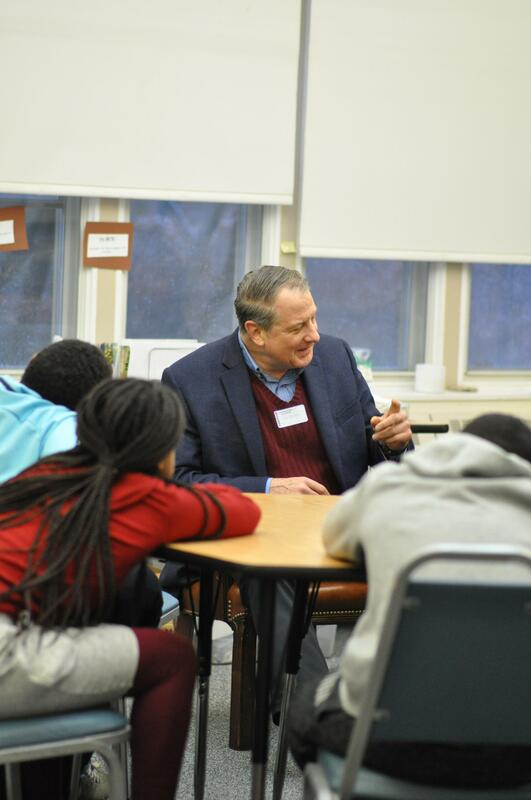 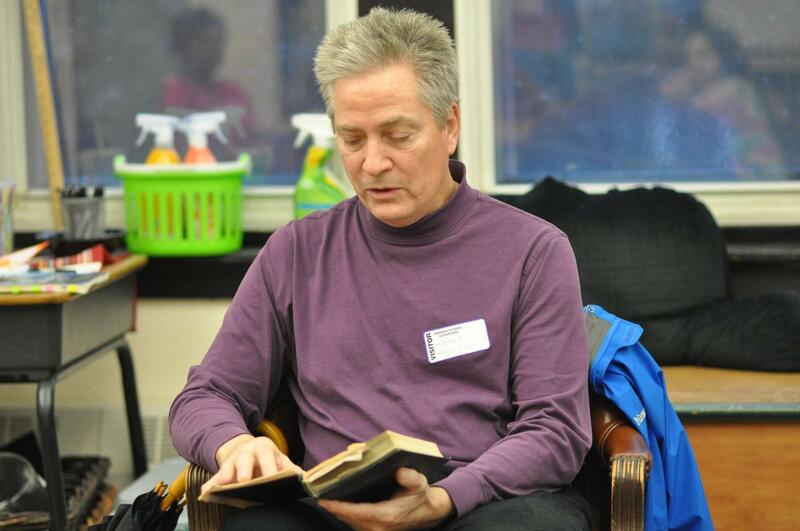 Robert Urquhart shared about his experiences in high school with the American Field Service, family travel to Austria, and read a few poems that his father used to read to him as a child to grades 5/6. 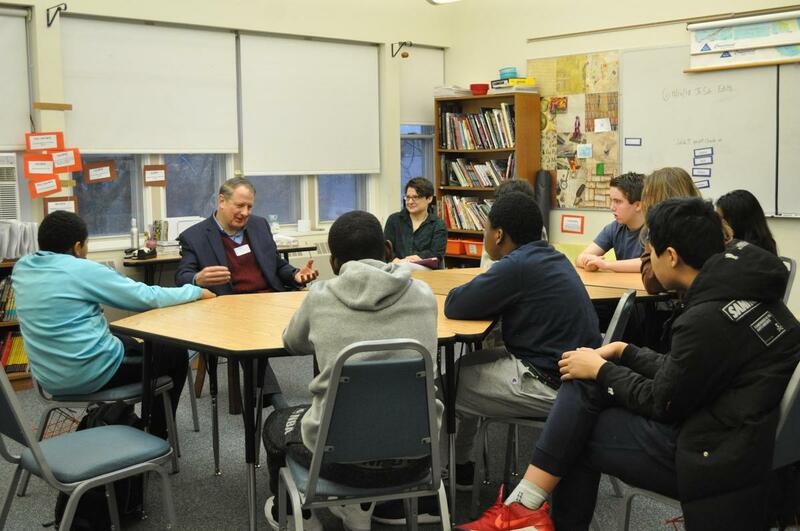 Carl Watson, an engineer had a discussion with grades 7/8 about the importance of keeping an open mind to all educational experiences. There were many interesting and captivating experiences shared. 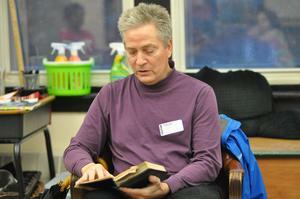 The morning concluded as the community gathered to attend Meeting for Worship together.